As mentioned, we're in Monroe (soon to leave, sadly) and being a photographer I get asked at times to take photos. It's never a problem, but I sometimes get little bonuses like taking really cheesy shots of people. 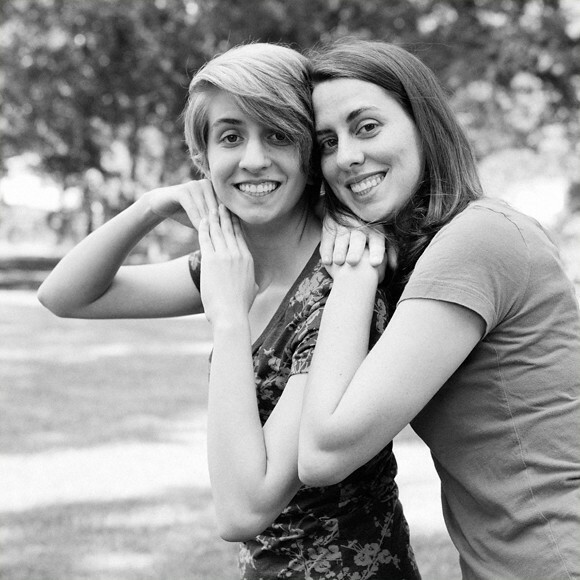 Here's Steph and Jess, a classic cheesy duo, in the family backyard during family photo time.